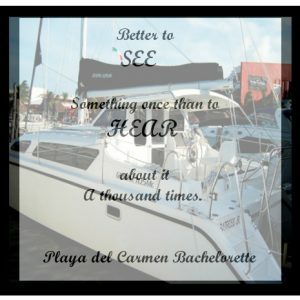 Looking for Playa Del Carmen events to enjoy? Playa del Carmen, where the heart of the Mayan Riviera beats. Perfect combination of beach activities, urban leisure, and relaxation. You’ll have a blast in Playa because there’s something for everyone. Eat at great restaurants, discover tours and activities, have fun at local events or just go shopping. Whether you’re a local, new in town or just cruising through we’ve got loads of great tips and events. Here is a list of annual holidays and what things usually happen from October to December so you can plan to attend some of the fun events that happens here in Playa del Carmen. Halloween in Playa is a huge party. Where in some people are wearing costumes then the adults come to party late at night. And don’t forget Xcaret for the Day of the Dead festival. On November first week, the best place to go is the Xcaret Park, this blends the Halloween and you’ll also see special bread in the bakeries in Playa del Carmen. In late November, you’ll look for Riviera Maya Jazz festival. This is an event where professional jazz acts from around the world and this usually takes place on the beach. Christmas Day is where more tourist visit Riviera Maya. Many tourist choose to go here to enjoy their vacation. We give the best and unique vacation we promise you’ll enjoy. And don’t forget the New Years Eve where almost everyone in Playa del Carmen goes out for dinner and party all night in the different bars and clubs. 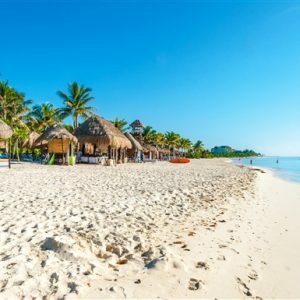 So you’re planning to visit Playa del Carmen? We’ve got you covered. Come now and visit us! Contact us.